The holiday season is a time when baking cookies becomes priority number one in many households. There are excellent cookie recipes to be found on the internet, in most cookbooks and on the various cooking programs broadcast on television. Rather than buying the premixed dough that you find in the dairy case at the grocery store, bake your own cookies from scratch. 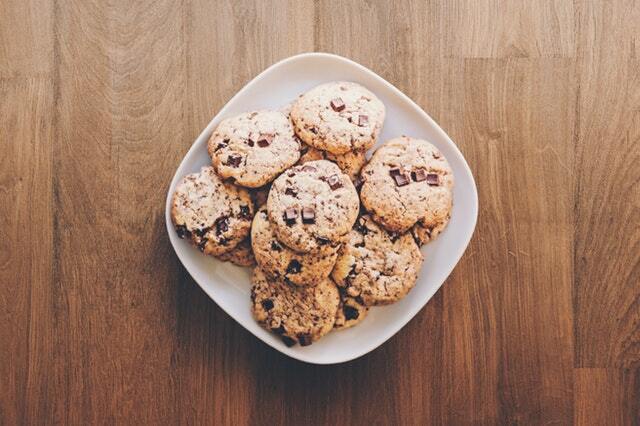 Follow these tips, and your cookie eating friends and family will love you for your efforts. 1) Use real butter and eggs in your dough. The milk solids in butter and the fats contained in egg yolks create dough with a smooth cake-like texture. Other shortenings, such as hydrogenated vegetable oil or margarine, tend to create cookies that have a dry, crumbly texture. Cookies made with these products also tend to brown too quickly, so the cookies may taste burnt even though the middle may still be undercooked. Egg substitutes also make a dough that doesn’t hold together as well as dough made with real eggs, so the cookies will spread too much during baking, fall apart. Eggs also help with the leavening process, and using egg substitutes may result in a cookie that looks and feels more like a cracker. Unless there are issues with food allergies, use real butter and eggs in cookie recipes for the best texture. 2) Melt the butter instead of creaming it. Most cookie recipes begin with instructions to “cream butter and sugar together.” Instead of creaming ingredients together, try melting the butter and stirring in the sugar with a wooden spoon or spatula. Allow the sugar to dissolve completely in the melted butter before adding your dry ingredients, a process that takes about ten minutes. Sugar attracts moisture, and this procedure allows the sugar crystals to be distributed evenly through the cookie dough. The end result is a cookie that is moist and stays soft and chewy. The typical extract that you find at the grocery store contains a small amount of actual flavoring oil; nearly 85% of extracts are alcohol. Alcohol evaporates at a fairly low temperature, so much of the extract’s flavor bakes out of the cookie. Use food-grade essential oils or a baker’s emulsions instead. These products have a higher concentration of flavoring compounds and evaporate at higher temperatures, meaning that more flavor stays in the cookie after it’s baked. Oils and emulsions also blend better with fats than do alcohol-based extracts, so the flavor disperses more evenly through the dough. Essential oils and emulsions can be found at retail stores specializing in candy making or cake decorating supplies, or from online baking and cooking specialty stores. Working dough has the same effect on baked goods as exercise does on a muscle, and for almost the same reason. The protein (gluten) in wheat flour strengthens and develops what feels like rubber bands when it is mixed, kneaded and rolled. Overworking cookie dough, either by mixing the ingredients too much or rolling and re-rolling dough, makes for one tough cookie. When combining ingredients, mix just enough to consolidate all of the ingredients, then stop. Roll out dough in small batches so that re-rolling leftover scraps is minimized. The end result will be a cookie that bakes more evenly, has better rising capacity and is lighter in texture. It may seem like an expense to use parchment on cookie sheets instead of just greasing a sheet with butter or cooking spray, but parchment keeps cookies from sticking to the pan, evens out browning and makes cleanup a breeze. Parchment sheets can be reused – just remove the baked cookies to a cooling rack, flip the sheet over, place it back on your cookie sheet and add more dough. With parchment, cookies bake more evenly and you save time with cleanup.. Whether gas or electric, ovens have one shelf setting that is closest to the heat source and a second (and possibly third) that is further away from it. Placing one tray of cookies on the lowest shelf and a second on the top shelf at the same time guarantees that the cookies on the bottom will be too brown and the ones on top will be underbaked. To even things out, it’s best to adjust the oven rack to the middle and bake only one sheet of cookies at a time. If you are planning to bake a large number of cookies and find this impractical, then an alternate plan is to rotate the cookie sheets halfway through baking. That is, if your total baking time for a batch is ten minutes, switch the sheets of cookies that are on the top rack to the bottom rack, and vice versa after five minutes of baking. Home baked cookies are a treat any time of year, and using these tips will make yours extra special.